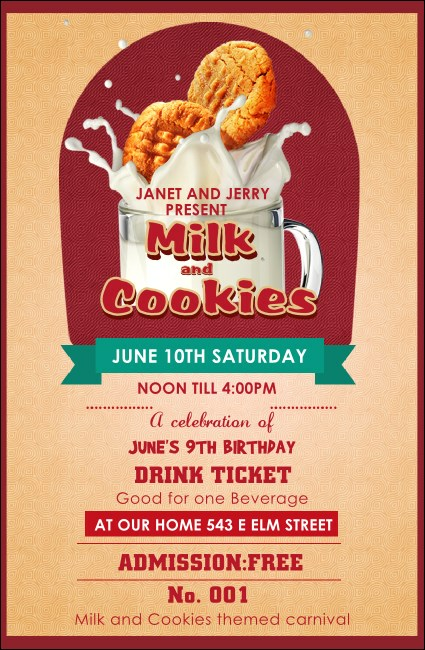 Keep the party going and hand out the Milk & Cookies Drink Ticket at your gathering. This sweet design features individual numbering, pink tones and a mug full of tasty milk and a sugary cookie in the middle. Offer your guests milk, lemonade, or coffee at your party!